Kendíka’s second chance at life begins as a nightmare. Will the eerie eyes always looking down from the sky reveal themselves? Kendíka challenges the aliens no one has ever seen to bring about a better life for the humans trapped in the surreal Regency world she wakes up in. While getting to know her alien owner, she discovers the aliens aren’t so perfect and have much to learn about humans. Will Kendíka survive or perish, attempting to make life better for the people living on Regency? I have a bit more information to give about this wonderful new Kindle Scout Campaign. 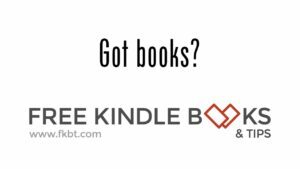 My Kindle Scout campaign runs through December 17. What is this Kindle Scout campaign you ask? Amazon is now publishing books, yes Amazon is a publishing company with hired editors and all, but they do things a bit differently. Once they accept a novel it is launched in this campaign lasting thirty days in which the author has to gather enough votes. Those novels with the most votes are then published. I'm sure they have other criteria they go by since they don't show how many votes each novel gathers. I'm not sure of that answer. The one thing I do know is that each novel, to make it, needs a lot of votes. As a new author I'm at a disadvantage because I don't have a fan base to support me. Therefore I'm using any means that are legal in this campaign to gather supporters to vote for my novel. White Swans A Regency World is a Young Adult fantasy with a pinch of romance series and this is book 1. In the campaign you'll be able to read the first three chapters to determine if you like the story and would like to vote for it. If you think you need to read more to make up your mind go to Wattpad where I have the first five chapters posted. If you want to help me make it through the campaign, you can vote here. Now, if my book makes it and Amazon publishes the novel, all those who voted for it will receive a free copy. After looking carefully, I believe each person can vote for three different novels. Therefore, if you see more than one book you'd like to vote for, you can. Won't you help make my dream come true? Although born in the United States, Annamaria Bazzi spent a great deal of her childhood in Sicily, Italy, in a town called Sciacca. Italian was the language spoken at home. Therefore, she had no problems when she found herself growing up in a strange country. Upon returning to the States, she promised herself she would speak without an accent. She attended Wayne State University in Detroit Michigan, where she obtained her Bachelor of Science in Computers with a minor in Spanish. Annamaria spent twenty years programming systems for large corporations, creating innovative solution, and addressing customer problems. During those years, she raised four daughters and one husband. Annamaria lives in Richmond Virginia with her small family where she now dedicates a good part of her day writing.